Once upon a time there was a skinny little olive-skinned girl with the big dark eyes and long, straight, chestnut hair. Dahlia Lydia Fiore was born in Burrillville, Rhode Island on the Fourth of July in 1924, the eighth of eight children – four boys, four girls. 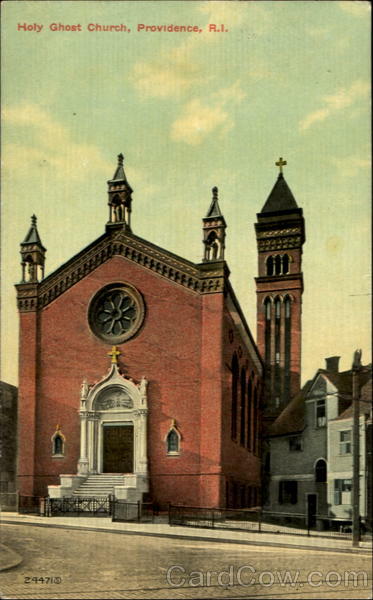 Her father Giovanni came to Providence, Rhode Island, from San Giovanni Incarico, a small Italian village near Naples. Giovanni Fiore farmed. In Italy Giovanni grew vegetables and flowers; roses and dahlias were his specialty. After settling in Providence, getting work farming, he sent for his fiancée, Maria Giovanna Mollo. They married August 3rd, 1903 at Holy Ghost Church on Federal Hill. Most of the Italians immigrating to Rhode Island at the turn of the twentieth century ended up in or around the Federal Hill area of Providence. You can still find traces of Rhode Island’s Little Italy – Scialo’s Bakery, the Gateway Arch over Atwells Avenue where La Pigna hovers over the traffic. While most people refer La Pigna as the “Big Pineapple,” on close inspection you’ll find that it’s actually an ornate pine cone, an Italian symbol for welcome and abundance. Venda Ravioli is still there, under new ownership but still with the same cibo delizioso. DePasquale Square and its stone fountain cascading water transports you to a piazza in Rome or Genoa. Holy Ghost Church is still there too. In 1924, when the skinny little girl, the eighth of eight came along; Giovanni Fiore had already joint owned a farm in Wakefield RI, close to the Narragansett Bay and the Atlantic Ocean. After that came another farm in Harrisville, in the northern corner of the state near Worcester, Massachusetts. After Dahlia was born, Giovanni decided he wanted his own place, his own house without countless cousins from Italy landing on his doorstep to start a new life on his dime. He couldn’t say no to his family, and he constantly gave his people a place to stay, food to eat, and, to his later downfall, he co-signed their loans. In an attempt to make a new start for his own family, he sold his share of the Harrisville farm to his brother-in-law, Sam Toti, and moved his wife, eight kids, and his brother-in-law Roger to a large Victorian in Providence, on Marshall Street in the Federal Hill area of Providence. From farmer to watchman – first in a jewelry shop, later in a hat factory. Little Dahlia looked forward to waking up each morning to find the new hats her father brought home from his late shift. She modeled navy straw cloches, black mesh slouches with velvet trim, and olive wool turbans. While her father worked nights, little Dahlia slept with her mother in her parents’ bed. Dahlia i s not like me. I adored my mother as a girl, grew distant during adolescence, and returned once I finally understood how important she is to me. Dahlia longed for the closeness of her mother always. She lost her too early, and never had the opportunity to grow apart from her. But I think that even if she had that chance, she wouldn’t have taken it. This entry was posted in Family, Federal Hill, Italian Americans and tagged Atlantic Ocean, Burrillville Rhode Island, Dahlia, Federal Hill, Gateway Arch, Giovanni, Italy, Narragansett Bay, Providence, Providence Rhode Island, Rhode Island, San Giovanni Incarico, United States by pattytmitchell. Bookmark the permalink. I am collecting info on my family and using the shutterfly format to tell the story. I look forward to reading Johnstonmore. Both my parents are Italian, my father was born in Sicily and grew up on the Hill. My mother s parents were settled first in Providence, then Johnston Cranston, North Providence.The locations are different, but the stories are almost always very similar. Thanks for reading. My parents both grew up in Providence, but eventually settled in Johnston in the late 50″s. When I was born that’s where they lived and while they are not in the same house, they do still live there. It is very rewarding for me to research and document my mother’s recollections. I hope you enjoy the same level of satisfaction and understanding of your family and what makes them special. Stay tuned and thanks always for the feedback!